Another great medical team just left today. We spent the week seeing patients, suturing wounds, removing cysts and praying with patients. 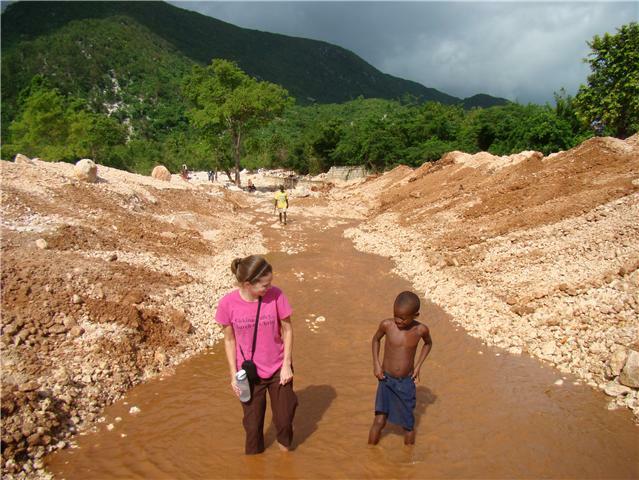 Sometimes it takes an "outsider" to remind you how important praying with the Haitian people is. I think I get so caught up in the work and all the needs that I don't take the time at that exact moment to stop and pray with them. Meanwhile (while I am frantically running around trying to solve the world's problems) the Lord is watching and waiting for me to remember who is really doing the solving around here. One of the women on the team asked me, "When did Haiti start feeling normal to you?" She continued, "You seem so at home and you know what you are doing in this chaos. You take all the weird and different things here in stride and keep going about your day. I am so shocked at a lot of what I see I can think clearly. And while I am trying to process one thing I see 3 more things that throw me off." Things still catch me off guard-like the 11 yr old boy who came into the clinic with an old dog bite. Mom tried to heal him using Voodoo. The witchdoctor told his mom to go find the dog that bit him and pull out some of it's fur and stuff it in the wound. When we opened the wound-sure enough-lots of dog hair. I have to say that threw me for a loop. The doctors from Southeast Christian Church didn't miss a beat and prayed over the boy for THE LORD to heal him and to guide them in treating him. Threw me for another loop. I was so focused on the wound and all the infection that I forgot to stop and pray. We, Christians, have the chance to be the shining light -an example- in this world. Haiti is a dark place. God has called me to shine the Light in a little village in Haiti. But sometimes does my nursing ministry tool to overshadow the Light? Dim it? Sometimes the abnormal, chaotic, busyness makes us run around but we should remember who is really solving the world's problems. Where has God called you?